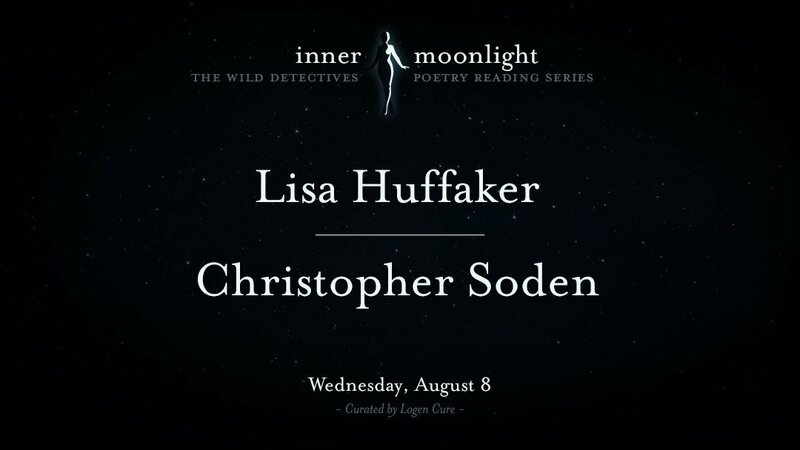 Inner Moonlight is proud to present Lisa Huffaker and Christopher Soden! Come hear these two spectacular poets read their work. Open mic to follow. Lisa Huffaker is a poet, musician, and visual artist. Her poems have been published in Southwest Review, Poet Lore, Measure, Able Muse, Southern Humanities Review, and elsewhere. She won the Morton Marr Poetry Prize, and has been nominated for the Pushcart Prize. Her latest project, White Rock Zine Machine, in which she transforms retired vending machines into whimsical sculptures offering tiny books by Dallas writers and artists, has been celebrated in D Magazine and The Dallas Observer, and awarded grants by the Dallas Office of Cultural Affairs. A classical singer by training, she sings with the Dallas Opera. She served as a Visiting Artist at the Dallas Museum of Art last summer, where her installation, Sound/re:Vision, invited visitors to interact with a music box Zine Machine, compose their own chance music, and create zines inspired by a playlist ranging from opera to gamelan. Christopher Stephen Soden received his MFA in Poetry from Vermont College of Fine Arts in January of 2005. He teaches craft, theory, genre and literature. He writes poetry, plays, literary, film and theatre critique for sharpcritic.com and EdgeDallas. Christopher’s poetry collection, Closer was released by Rebel Satori Press on June 14th, 2011. He received a Full Fellowship to Lambda Literary’s Retreat for Emerging LGBT Voices in August 2010. His performance piece: Queer Anarchy received The Dallas Voice’s Award for Best Stage Performance. Water and A Christmas Wish were staged at Bishop Arts and Every Day is Christmas in Heaven at Nouveau 47. Other honors include: Distinguished Poets of Dallas, Poetry Society of America’s Poetry in Motion Series, Founding Member, President and President Emeritus of The Dallas Poets Community. His work has appeared in: Rattle, The Cortland Review, 1111, Typishly, F(r)iction, G & L Review, Chelsea Station, Glitterwolf, Collective Brightness, and A Face to Meet the Faces. Our show is every second Wednesday, so mark your calendar. We can’t wait to see you there!